Just $7.99 flat rate shipping on your entire order! Salsa, Hot Sauce, Condiments and More! 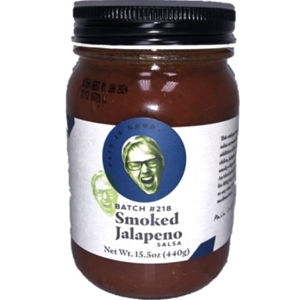 Pain Is Good Batch 218 Smoked Jalapeno Salsa is Bubba's fresh blend of chipotles, bell peppers, roasted garlic and jalapeños is pleasing to even those with more "sensitive" palates.